All PS4 Trophies to Peasant Knight, guides, tips and solutions to all tasks! All Playstation 4 Trophies for Sekiro: Shadows Die Twice. Take a look at all collectibles and get tips on the respective unlocks. 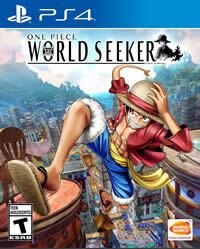 All Playstation 4 Trophies for One Piece World Seeker. Take a look at all conditions and get tips on the respective unlocks.